The HT Venue Series offers a line of workhorse amps designed for specific venue size and applications. 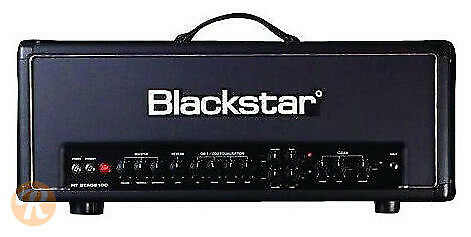 The HT Stage 100 Head uses a 100 watt, seven-tube chassis with a solid state rectifier to power three separate channels. Includes onboard reverb and Blackstar's Infinite Shaping Feature.